Hurricane Damage? Contact us Now! We offer a full line of screen repair and service options for both new and existing customers. No repair is too big or too small for us to handle, from 1 panel to full re-screens and screw replacements. 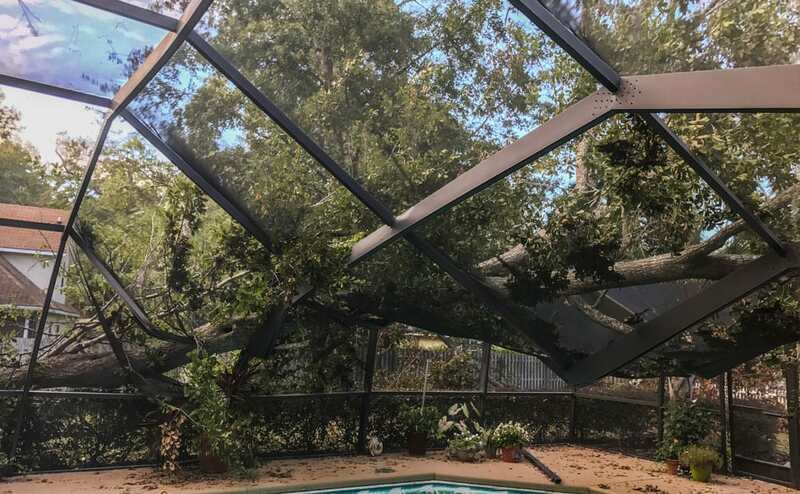 Tropical Enclosures is one of the most experienced and highly respected enclosure companies in Jacksonville and North Florida. 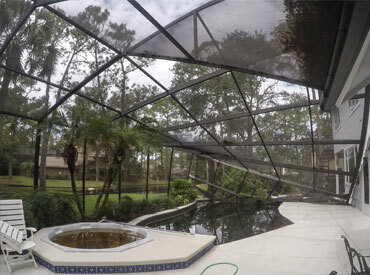 Whether you are planning to renovate your current patio enclosure or wish to add a brand new swimming pool to your home. Tropical Enclosures is the place to find the perfect solution. Every project is carefully thought out and designed in a way that is going to suit every customer’s unique needs and desires. Thorough consultations ensure that no detail is left out and the finished result is nothing short of excellent. Only the highest grade products make it on to our job sites and as a result, our customers are left with only the best of the best in terms of quality, service, and craftsmanship. Having over 100+ years of combined knowledge in the industry, our crew leaders and owners have brought the most innovative enclosure designs to North East Florida and we are consistently looking to improve our skill set. We hope you keep us in mind for all of your enclosure needs and look forward to hearing from you! 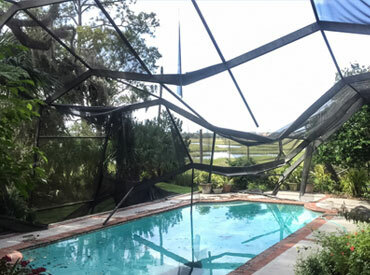 For more information about our swimming pool and patio enclosures, contact us at 904-744-3500 or info@tropicalenclosures.com and a screen enclosure specialist will be in-touch with you right away.